On April 21st, the European Union announced that it had reached an agreement in principle with Mexico on a new trade pact, which upgrades an existing agreement. Mexico will open more procurement to the EU than it has in any other free trade agreement (FTA). Mexico also commits to enter negotiations with its states to open some of their procurement to EU firms by the time the agreement is signed. This post considers the results in the agreement relating to government procurement and their implications for the negotiations of the North American Free Trade Agreement (NAFTA). In May 2016, the EU and Mexico commenced negotiations to modernize their 1997 Global Agreement, which was extended to trade, including government procurement, in 2000. The agreement in principle summarizes the results of the negotiations as of April 2018. However, further negotiations will be needed to resolve outstanding issues and finalize the legal text. Until this process is completed, the description of the results are not to be considered final nor as “the definitive position of the EU or Mexico”. The parties aim to complete the negotiations by the end of 2018. According to the agreement in principle, Mexico will open more procurement to EU suppliers than it has for any other trading partner. In its prior FTAs, including the Trans-Pacific Partnership (TPP), Mexico has essentially replicated its government procurement commitments in NAFTA, its first FTA. That coverage has included the transitional measures (set-asides and a pharmaceutical exclusion) that it applied under NAFTA, as well as permanent set-asides and offsets. It remains to be seen whether Mexico has carried those measures into its new EU agreement. With regard to new entities that Mexico is opening to the EU, the only one cited is the International Airport of Mexico City. The agreement notes that Mexico has reconfirmed its coverage of the Mexican Social Security Institute (IMSS), the State’s Employees’ Social Security and Social Services Institute (ISSSTE) and its two largest energy entities: Federal Electricity Commission (CFE) and PEMEX (Petróleos Mexicanos). These entities are also covered under NAFTA and the TPP. In a departure from its prior FTAs, which do not include any state procurement, Mexico has committed to enter into negotiations with its states in order “to offer access for EU bidders to procurement of some Mexican states”. It further promises to “achieve a minimum coverage of public entities for the states” by the time the agreement is signed. There is no indication of how many of Mexico’s 31 states (plus federal district) will need to open their procurement to the EU to reach the “minimum coverage” threshold. The EU pursuit of coverage of the Mexican states reflects its approach in its recent agreements with Canada and Japan, where it achieved unprecedented coverage of sub-central entities. For its part, the EU is offering Mexican suppliers “reciprocal access” to the European procurement market, including its utilities market. The key term is “reciprocal” as the EU would be expected to provide Mexico with access to procurement that corresponds to the procurement that Mexico is opening to the EU. In its FTAs and the WTO Government Procurement Agreement (GPA), the EU carefully calibrates the procurement that it opens in response to its partner’s commitments. Under the TPP, Mexico did not cover its states but did commit, along with the other TPP parties, to take up sub-central coverage three years after the TPP entered into force. However, when the TPP parties, minus the United States, replaced the TPP with the Comprehensive and Progressive Agreement for the Trans-Pacific Partnership (CPTPP), they suspended that commitment. Another area of expansion of procurement commitments in the new agreement relates to public-private partnerships (PPPs). The EU will provide Mexican companies with access to its works concessions in exchange for participation in Mexico’s PPPs. Assuming that this commitment goes beyond the turnkey and major integrated projects that Mexico covers, with restrictions, under NAFTA and the TPP, this would represent an expansion of its current coverage. Under the TPP, Mexico did not join most of the other signatories in covering build-operate-transfer contracts and public works concessions contracts. The text of the procurement chapter will include “new generation disciplines” that are equivalent to those in the GPA. It will also permit environmental and social considerations to be taken into account during the procurement process, provided they are non-discriminatory and are linked to the subject-matter of the procurement. 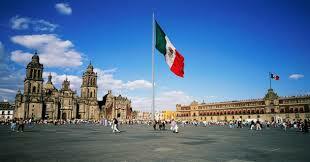 Mexico also agreed to publish all of its public tenders on a single procurement website. In the NAFTA negotiations, Canada and the United States could seek access to the additional central government coverage that Mexico is offering the EU. But, the U.S. would be very unlikely to seek coverage of the Mexican states, as it would have to seek similar commitments from U.S. states. It was unwilling to do so in the TPP negotiations and is probably even less likely to pursue in the current trade environment. However, as long as the U.S. maintains its proposal to cap Canada’s and Mexico’s access to its procurement in the NAFTA negotiations, there may be little interest among the parties to broaden existing NAFTA coverage, even though it lags behind U.S. and Canadian commitments in the GPA. This entry was posted in EU-Mexico Trade Agreements and tagged EU-Mexico agreement in principle, European Union, Government Procurement, Mexican states, Mexico, NAFTA, WTO Government Procurement Agreement (GPA) by Jean Heilman Grier. Bookmark the permalink.